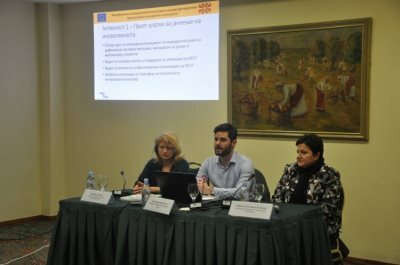 On the 22nd of March 2017 (Wednesday), at 12:00h, representatives of the civil society organisations – grantees within the project ‘Together for Success: young entrepreneurs, a driving force for good inter-ethnic relations’, funded by the European Union, have participated at an info day with the project manager and project partners. The call for grants for civil society organisations for local actions supporting and promoting entrepreneurship among young people from ethnic minorities, was published on the 5th of December 2016. In total, 47 project applications from various project consortia (around 100 civil society organisations) have been submitted by the deadline on the 20th of January 2017. 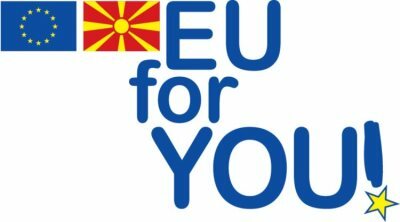 Through this EU project, 10 local actions and a total of 23 civil society organisations have been supported. There is 1 supported project under the priority area no. 1 – Improving the possibilities for entrepreneurship development, and 9 supported projects under the priority area no. 2 – Integrating young entrepreneurs from ethnic minorities in various programmes for support and networking. The geographical allocation of the local actions within the country is as follows: Skopje region (4 projects), Pelagonia region (2), East region (2), Polog region (1) and the Southwest region (1). The projects’ implementation period is between the 15th of March 2017 and the 15th of September 2017. Regular news and information on the current possibilities to get more involved in the local activities will be disseminated through the project ‘Together4Success’ and the Youth Entrepreneurship Support Network (YES Network) via www.yes-network.org. Read more about the projects that are expected to be successfully completed and thus contribute significantly towards the development of local youth entrepreneurship through the strengthening and promotion of inter-ethnic collaboration and joint representation of the needs and challenges of young entrepreneurs from ethnic minorities. 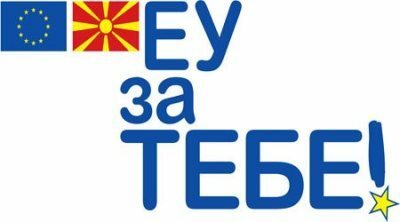 The main goal of this project is to strengthen the networking skills and the collaboration with the local authorities, thus stimulating the social inclusion of young Roma people through the integration with young Macedonian people and innovative education through a serious game on social entrepreneurship. The project will include a workshop for civil society organisations’ capacity building, a social entrepreneurship training through the method of gaming and a networking event. The main goal of this project is to contribute to the building of the awareness among young entrepreneurs for the need of joint representation of their opinions and needs in front of policy-makers on local and national level. The main project activities include the implementation of an analysis for the support that young entrepreneurs receive on local level in the Municipality of Gazi Baba, Butel and Gjorche Petrov, the preparation of a study for organised joint representation of young entrepreneurs, organising networking events with the business sector, as well as the preparation of a monitoring and mentoring programme for young people in the representation and lobbying process. 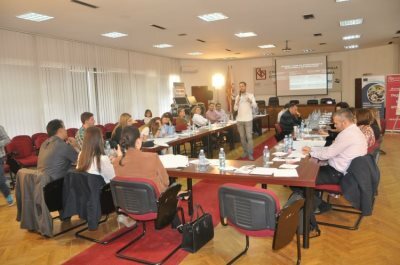 The main goal of this project is the improvement of the conditions for the development of entrepreneurship in the Municipality of Dolneni through the development of a local municipal strategy for youth entrepreneurship. The project also foresees the strengthening of the capacities of potential future entrepreneurs from the ethnic minorities and the local civil society organisations. The main goal of this project is to contribute to the improvement of employability and supporting entrepreneurship in the Municipality of Cair among women from ethnic minorities, through the organisation of trainings and workshops for capacity building and networking events. The main goal of the project is the stimulation of institutional collaboration between the civil society organisations and the local authorities, on the issue of unemployment among young people from ethnic minorities. The project foresees an increase in active civil participation in the planning and the creation of local policies and local strategic documents. Underlined among the main activities in the project is the creation of a local strategy for decreasing youth unemployment among Roma people via entrepreneurship, implementing a research and the creation of an inter-sectoral work group. The main goal of the project is the strengthening of entrepreneurship among young people from Roma, Turkish and Vlach nationalities in the rural areas in the Municipalities of Zrnovci, Sv. Nikole and Probistip. Specific activities that will be implemented during the course of the project include the organisation of trainings for young people to start their own business, the establishing of 6 focus farms of potential entrepreneurs for the implementation of a theoretical and practical training for the production of organic food, networking between the producers and the business sector in the targeted municipalities, and the strengthening of the institutional capacities of the partner organisations included in the implementation of the project. The main goal of this project is the capacity building and economic inclusion of young Roma women through training, counselling and mentoring, networking of young Roma women entrepreneurs among themselves and with entrepreneurs from other ethnic minorities, as well as establishing collaboration and a network for support and mentoring by the business sector. 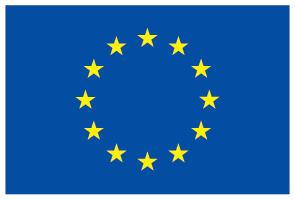 The project also includes a quantitative and qualitative research of the needs of the target group, targeted trainings and workshops, connecting young Roma women with the relevant institutions, civil society organisations and the business sector, through a network for collaboration, support and mentoring. The main goal of the project is the strengthening of the social and economic inclusion and the development of a multi-cultural and multi-ethnic democracy among young people from different ethnic minorities in the Municipality of Brvenica and the Municipality of Vrapciste. The project foresees a workshop on entrepreneurship and the available employment facilities aimed at young people, preparing documents for the improvement of the Local Economic Development strategies of both municipalities, mentorship and consultative meetings for running a business. The main goal of the project is to promote the knowledge and skills of future young social entrepreneurs that come from different ethnic minorities, focusing on entrepreneurs from ethnic minorities on the territory of the Municipalities of Cair and Gazi Baba; through networking, mutual non-formal learning and capacity building of civil society organisations and the local authorities. During the project, Solve it! – School of Social Entrepreneurship will be organised, involving 15 students in 7 workshops on social entrepreneurship, a training for developing networking skills between CSOs, the business sector and public institutions. In addition, 3 ideas will be applied at the Social Impact Award competition. The main goal of the project is the connecting of high school students and craftsmen through the creation of a network of young entrepreneurs, trainings for running their business and the realisation of a business plan competition. The project foresees the creation of a smartphone application with entrepreneurs’ profiles, trainings, study visits, and awarding a subvention for the registration of the best business plan into a start-up company, as well as the branding of 2 innovative businesses/craft shops.